The Mercedes GLC, shown, is larger than the GLK it replaces and has a sleeker design. STRASBOURG -- Mercedes expects that its latest compact SUV model, the GLC, will generate higher sales than the GLK it replaces because of softer design, additional comfort features and the availability of right-hand-drive in key markets. Mercedes gave the GLC a more car-like design than the boxy GLK, which it believes will win over a greater number of potential buyers. The GLC has been designed "to set benchmarks in efficiency, safety, driver’s assistance and comfort,” Dieter Zetsche, CEO of Mercedes parent company, Daimler, said at the GLC's press launch here. The GLC offers the same air suspension system that is available on Mercedes C and S class models. This adapts the suspension to the prevailing conditions, with the damping of each wheel self-adjusted to match the driving situation and road conditions. 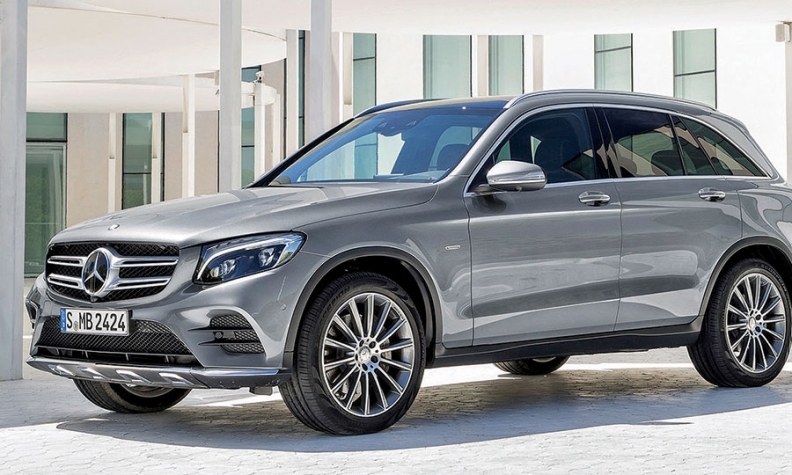 The GLC will be sold in right-hand-drive markets such as the UK, Australia, South Africa, Japan and India, unlike the GLK, creating sales opportunities denied to its predecessor. Mercedes did not engineer the GLK for right-hand drive because it was the brand's first compact SUV and it wanted limit its financial risk because it did not know how successful the model would be, a company executive said. Mercedes now has a much clearer sense of the market potential, not just from seven years of GLK sales but also from the success of competitors such as the Audi Q5, BMW X3 and Volvo XC60. Market researcher IHS Automotive estimates that Mercedes will sell about 145,000 GLCs in 2016, its first full sales year. This compares with 136,000 GLKs sold in 2014. The GLC is based on the rear-wheel architecture of the C-class line and is 120mm longer and 50mm wider than the GLK. It is no longer Mercedes’ entry crossover because of the addition of the GLA compact crossover. Extensive use of aluminum helped to reduce the GLC's weight by 80kg compared with the GLK, while at the same time increasing body stiffness. This reduces noise, vibrations, harshness levels, Mercedes says. Launch date : September (Europe); November (U.S.).